NOTE: If the serial number in the aircraft listings on the left is underlined, clicking on the serial number will take you directly to further details. If the serial number is in black, then no further details are available yet. Alternatively, you can scroll down through the Crews section using the scroll bar on your right. Stirling listing SOURCE http://www.bomber-command.info/c214stirloss.htm SOURCE: picture from RAF site. On the night of 2/3 July 1942, Wg/Cdr Knocker's crew took off in Sterling BF313 BU-T, one of 325 bombers to attack the German city of Bremen. 325 aircraft attacked and bombed Bremen in good visibility. A Bremen report states that over 1,000 houses and 4 small industrial firms were damaged. In the port 3 cranes and 7 ships were hit. The 1,736 ton steamer Marieborg was sunk and became a danger to navigation. Five people were killed and four injured. In all, thirteen aircraft were lost, 8 Wellingtons, 2 Hampdens, 1 Halifax and 2 Stirlings. BF313 was shot down by a night fighter piloted by Ofw Karl-Heinz Scherfling of II./NJG2 and crashed at 01:50hrs 3rd July 1942 onto mudflats at Westernieland, 22km NNW of Groningen, Holland. All the crew were killed. 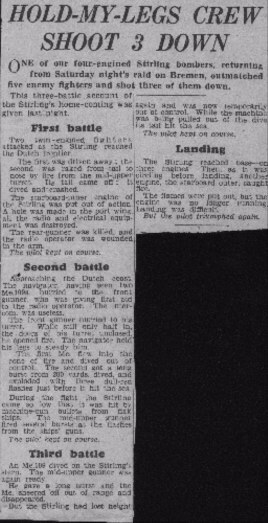 An eyewitness in Ten Boer, NE of the city of Groningen, claims that the Stirling was attacked over his hometown. He states: "It was a very busy night were planes are concerned. All of a sudden we heard two bursts of machinegun fire, shortly after each other. Just after that bombs fell just east of St Annen." A police report states that 29 bombs (27 incendiary) were dropped, of which only three ignited. The fire that was caused could be extinguished quickly. One person was lightly wounded. The eyewitness continues: "Up in the sky a fire became visible that moved in a northerly direction. A few days later we heard a plane crashed near the dyke at Westernieland." People in several north Groningen towns heard the loud roar of engines overhead. Those who went outside to look saw a bomber flying North with what appeared to be a light inside. Once over the mudflats the plane caught fire, exploded and crashed. One eyewitness remembers: "The pieces of the plane were strewn out over a large area, several kilometres across. This was about 1 to 2 kilometeres out into the mudflats from Westernieland." Three days later, about eight Dutchmen, under command of a German NCO went out to recover the bodies. All they found was pieces of wreckage, no large parts of the plane were found. Most of the crew were found between and under the pieces. They were brought to the dike where they were put into coffins after which they spent two days in a stable of a farmer in Pieterburen. Then they were buried in Westernieland. Mr van Hoorn was one of the Dutch men that were tasked by the Germans to recover the bodies the next day. He says that the tail was shot off and that they found the crew in their positions in the wreckage. Apparently the pilot had tried to crash-land the plane at high tide. The next day Mr van Hoorn checked the wreck and the day after that they recovered the bodies and put them in coffins which they brought to the farm of Mr Boerma. The coffins were put in a corner of the farm, with black curtains around them. The local population came to the farm to bring flowers. Two or three days later the Germans buried the crew with military honours at Westernieland. In attendance were the Mayor and the German commander. That same day an unknown soldier was buried that had washed on the shore. 'Sgt. R. W. Wilson (WO/AG), who was a member of the crew of BF318, and the only one to lose his life on 16/17 July 1942. Attack on Turin "Flat works" Flew out 18:25 hrs. Returned at 23:20 hrs because aircraft had faulty port and starboard inner engines, with bombs still aboard. There is another crew member listed on this flight on the Squadron ORB. However it is very hard to decipher. It could be either Sgt Harkers or Sgt Barkers and the initial could possibly be a P.
The most successful of the autumn attacks on Germany was the raid against Duisberg towards the end of December, when crews found unusually good visibility and were able to deliver a concentrated attack. German police records reveal that many industrial buildings were damaged, the railway hit in many places, and over twenty acres of the town almost completely devastated by fire. In the clear weather, however, the German defences were very active and many crews reported combats with night fighters. The Stirling captained by Squadron Leader Allcock encountered a Junkers 88 when approaching Duisberg in the later stages of the raid. The bomber, silhouetted against flares and searchlights, was a clear target, but the rear gunner got in a first burst and pieces were seen to fall away from the enemy machine. However, the Junkers replied with cannon and machine-gun fire, scoring repeated hits. The starboard tail plane and fin of the Stirling were damaged, a burst behind the inner port engine set the dinghy storage alight, a starboard fuel tank was holed and petrol flowed into the fuselage. Both the second pilot and wireless operator were wounded, the rear gunner was blinded by a shell which hit the rear turret and exploded on impact, while the flight engineer was folded up in his seat suffering intense pain. His face had been badly scorched by a shell which burst inside the aircraft. Eventually the mid-upper gunner was able to get in an accurate burst and the Junkers fell away, going down in what appeared to be a vertical dive. Wounds were attended to while Allcock continued his run to the target and dropped the bombs. His second pilot, Sergeant Murray, a 20-year- old Londoner, displayed remarkable fortitude. Although his left ankle was shattered, he hobbled to the rear turret and got the injured gunner out. Then he attended to the wireless operator, stopping his bleeding and treating his wounds. It was only when the navigator noticed pools of blood on the floor that the crew discovered that Murray was wounded himself and had collapsed from loss of blood. Meanwhile the fire in the port wing continued to burn so Allcock ordered the crew to be ready to bale out. Fortunately the fire did not spread, and he was able to fly his charred and battered Stirling back across the North Sea only to discover, as he made a landing circuit, that the undercarriage was jammed. He then succeeded in making a belly landing clear of the runway.
" On 20 December 1942 at 18:18 hrs this aircraft left to attack Duisburg on a clear moonlit night with very good visibility and dropped several bombs at 19:42 hrs from 15,800 feet. Duisburg was identified visually by pinpoints on docks. Bombs were dropped East of the aimimg point and good fires were seen around the aiming points. Just as the aircraft was about to bomb it was attacked by an enemy fighter JU88 and sustained damage to the starboard tail plane, starboard aileron and elevator and fin and mid upper and rear turrets. Also the port wing was on fire behind the port inner engine from Duisburg to the English coastline. The aircraft crash landed at Chedburgh at 22:09 hrs as the under-carriage had jammed. The 2nd pilot (Sgt JCD Murray), wireless operator and engineer were wounded. The captain wishes to commend the conduct of his crew, especially those who were wounded.". On 17 February 1943 they set off minelay in the Bay of Biscay. Port inner u/s before target. After dropping the mines, started for home. On the return, he notes in his log book,"Starboard outer u/s from Brest"
What really happened was that they were wandering about a bit and inadvertantly flew over the submarine pens. They were received with an enormous ammount of flak, which is how the Starboard outer went u/s. Unable to maintain height over the channel, by dint of throwing overboard every thing they could unscrew, they scraped into Exeter. The next day BF444"n" was sent to collect them. Took off from Stradishall on an operation to Osnabruck. Shot down by a night fighter (oblt Ludwig Becker, 6./NJG2) operating off the Dutch Frisian Islands and crashed at 01:40 hrs some 30 km North of Terschelling. Plt/Off Symes and Sgt Kerry have no known grave; the rest were washed ashore, mainly onto United Kingdom beaches. Take of 00:04hrs from Stradishall. Operation to Bremen.Badly shot up by a night fighter, Oblt Herbert Lutje, III.NJG1, near Gronigen and later blew up and crashed at 03:59hrs at Rouveen, 13km NNE of Zwolle, Holland. Lost over Duisburg on a raid there on the night of 12-13 May 1943. They took off from Chedburgh at 00.26. Crashed at Duisburg-Ruhrort. All rest in the Reichswald Forest War Cemetery, having been brought there from the Nordfriedhof at Dusseldorf. Take off 16:00 hrs on a ferry flight from Exeter. After picking up a Squadron crew from Stirling BF 326 the aircraft swung violently and left the runway. While taking action to avoid a collision with a parked Typhoon, the starboard oleo collapsed and the Stirling slid to stop, damaged beyond repair.
" On take off it developed a big swing. The undercarriage collapsed and the fuselage broke of aft of the trailing edge.The unfortunate Pilot was F/O Hewitt from New Zealand, probabley the shortest Pilot in the RAF ! We went home on the train." Operation Berlin. Took off at 19:40 from Chedburgh. Reported crashed in marshes at Finkenwerder, a town on the south bank of the Elba and some 8 km SW from the centre of Hamburg. However they were not discovered until many years later in September 1949. The crew are buried in Hanover War Cemetery. A book listing German nightfighter claims only lists one Halifax claimed on the night of 27/28 March 1943, so there is a fair chance that Plt/Off Challis's plane was brought down by flak. Delivered by Short & Harland Contract No.774677/38 to No.214 Sqdn on 13 March 1943. Mission on 23/24 May 1943 was to Dortmund. Airborne at 23:06 on 23 May 1943 from Chedburgh. Bombing took place between 01.03hrs and 02.10hrs and caused devastation to the centre and outlying districts of the city. BF478 was one of three Stirlings lost on this operation. (also BF528 & MZ261). Crashed in the sea off the Dutch Friesian islands after being shot down by Ofw. Karl-Heinz Scherfling og 10.NJG1 over the North Sea some 10Km east of Terschelling at 02.14hrs. Combat took place at 3,600 metres. Sgt Street's body was washed ashore; his six comrades are commemorated on the Runnymede memorial. BF516 was a Stirling Mk III of 214 Sqn lost on the way back from a raid on Nuremberg by 653 aircraft on the night of 10 / 11 August 1943. The aircraft was coded 'PX-E' which was a little unusual as most 214 Squadron aircraft were coded 'BU-'. PX was the 'C' Flight Squadron code. They were based at Chedburgh in Suffolk. The port outer engine cut when they were 5 miles west of Nuremberg and nearly caught fire when the pilot attempted to re-start it so the propellor was feathered (blades turned to reduce drag). The aircraft then strayed off course on the way home and they lost a 2nd engine over France. The crew questioned if they should bale out but decided against that, instead they would try to get home. They then ran out of fuel and had to ditch into Pevensey Bay off Bexhill. All were rendered unconscious in the crash but F/S Hall was the first to recover and immediately began to try to get his crew out. Two crewmen (Sgts Buckle and Smith) were killed and the other five men were subsequently rescued by a Sea Rescue dinghy and brought ashore. Robert Moorby was taken to Naval Sick Quarters in Lewes, where he stayed for 2 weeks. The rest of the crew went back to the Squadron. There is a letter of thanks to the Air Sea Rescue Launch Captain from Robert Moorby in a small museum at Breznett, near New Romney in Kent, along with parts of the Stirling. Delivered by Short & Harland to 214 Squadron on 21 April 1943. Mission on 23/24 May 1943 was to Dortmund. BF 528 was one of three Stirlings lost on this operation. (also BF478 & MZ261). It took off at 23.35hrs from Chedburgh. The cause of loss has not been established. It crashed near Munchengladbach. 2 airman died instantly and the rest were taken POW. Take off 18:36hrs from Chedburgh .Operation to Turin. NOTE: The following research on the actual crash site has been done by Nils Hempel of Germany. Nils is one of the few researchers in the world, that travels in search of the actual crash sites of the aircraft. The difficulties in finding these sites would present enormous challenges. 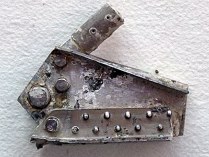 Upon locating a site, and obtaining permission of the land owner, he then goes over the site with a metal detector and carefully documents each piece of the aircraft he finds. Also, by recording each piece found on a GPS he can map an accurate path that the crash took. 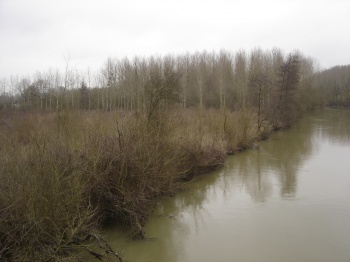 Later the site is photographed as it is today. Once this is done he has the long hard task of researching the crew and also trys to find photographs or anyone who witnesed the crash. An extrodinary and near impossible task after 60 years. He does all this at his own expense and without asking for any reward or recognition. For his selfless effort, we and all the families of those who died, extend our sincerest gratitude. "On Tuesday, 13 October 1942 at 18:45hrs the crew of this Stirling aircraft lifted off from Chedbrugh on bombing operations over Kiel Germany. The bomber formation was approaching Kiel from the direction of Rendsburg when it was attacked by German fighters . BK599 was attacked and hit by one of the fighters and at approximately 22:00hrs the other aircraft in the formation lost radio and sight contact with them. About this time, with the radio & hydraulics shot away and the aircraft on fire, Sgt Melrose and Sgt Cameron baled out. Everyone else stayed for reasons unknown. The plane was subsequently reported missing." The AAA-unit in Hohenschulen (6.Mar.Fla.Abt.251 / 4 x 10.5cm) then began shooting at the aircraft in the search light - stream. Due to heavy hits, the aircraft lost altitude and was seen to stagger past on the right of the little village of Bredenbek, only a few hundred metres over the forest Rolfhrn". "In the little village of Felde nearby, they had already been given the Fliegeralarm (fighter-alarm). The plane lost more and more altitude as it flew over Felde and was shooting over the village at rooftop height toward the direction of an estate, beyond which there was a clearing and a large lake, the Westensee. The giant Stirling, now rapidly loosing altitude, roared over the roof of the estate so low it knocked one of the chimneys off the house, then sheered off the crown of a big tree, finally slamming into the ground in the orchard of the estate. The wreckage, leaving a trail of derbis, then ploughed a huge trench in the orchard untill finally came to a halt only 40 metres beyond the house. They had almost made it, only 100 metres in front of the smoking wreckage lay the lake Westensee." It seems almost certain FS Davison, showing skill and presence of mind, was trying to reach the safety of the lake to crash land his damaged aircraft. According to Nils, "the line of the flight shows that the aircraft was under control of the pilot. The first sighting of the Stirling was about 8-10 KMSs away. It is the direct line to the crashpoint. I think, the aircraft was too damaged..."
It would appear that the pilot FS Davison was trying to find a clearing to crash land and maybe was hoping to reach the lake that can be seen in the distance. "At that time, I was 10 years old. About 10.00 p.m. I heard the siren of the Fliegeralarm". We were laying in bed, than we must very fast get out of the house. Suddenly we heard the buzz and saw then the large staggering plane over us first flying in the direction of the estate. Than we heard the big, loud bang. My big brother are running over the fields to the crashed plane. We could see that it was burning on the estate. 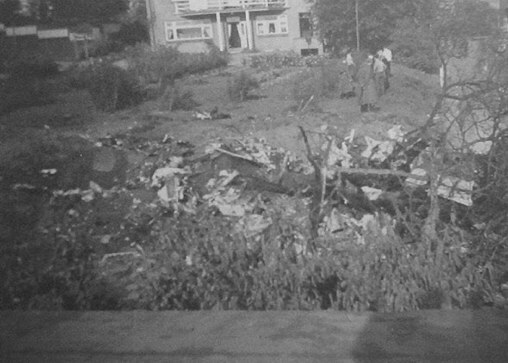 I was tense waiting for my brother, but he came back a lot of hours later ..."
Probably the aircraft threw his bombs away before the crash, otherwise the estate would be totally destroyed. Five of seven crew members were killed. Sergeant Cameron had baled out of the aircraft earlier. He hid away in the area until captured on the estate (Mr. Lubinus). Later he was taken into captivity as a prisoner of war. "We were coned by searchlights and a night fighter finished us off. The whole front of the aircraft was ablaze, no intercom or hydraulics. I had been hit in the foot, to what extent, I didn't know and with the aircraft on fire, I hit the silk." It is not known how Sgt Melrose escaped. He was taken POW. 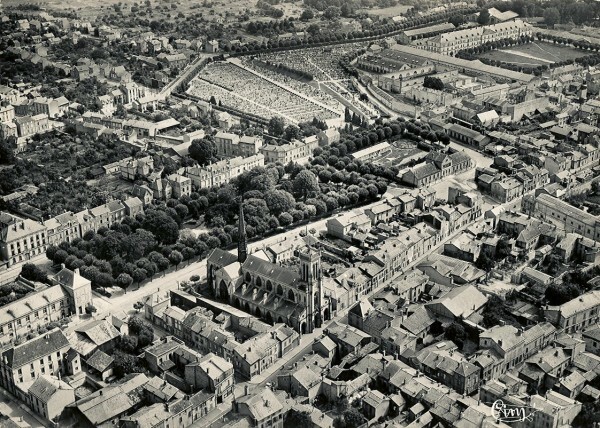 A picture of the estate in 1942, note the tree which was knocked over and how very close it came to the house. If the crew had not jettisoned its bombs, the explosion would have blown the house to bits. In September 2004 the search for aircraft parts in the garden of the estate turned up a lot of mainly aluminium parts, many of which have yet to be identified. 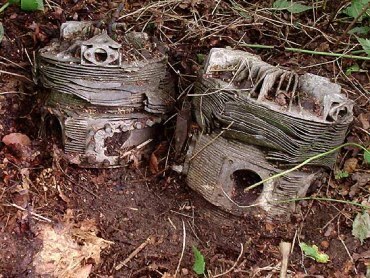 The picture is of the cylinder heads to one of the engines which remain buried on the estate and were found by Nils. 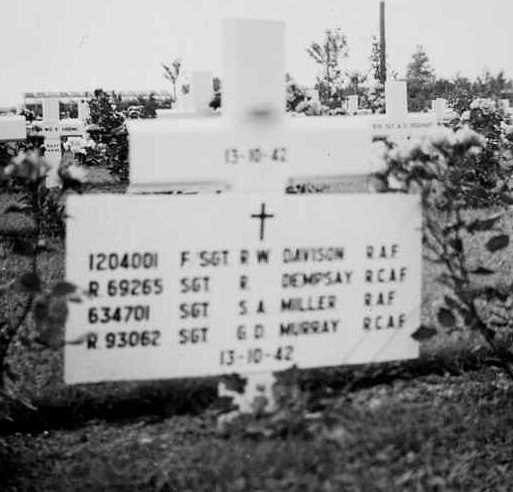 The headstone of the original grave of Davison, Dempsay, Miller and Murray. FS C K Johnston DFM is listed as part of this crew in his log book but not on the squadron ORB. On the 11th April 1943 the crew took off from Chedburgh, Suffolk at 20:52 in Short Stirling BK612 on a minelaying operation in the Gironde estuary and the Deodars mining area. The aircraft was presumed lost in the target area. The bodies of 2 of the crew were washed ashore and are buried at the Royan Roman Catholic Cemetery, France and the remaining 5 crew members were declared missing in action and are commemorated on the Runnymede Memorial. Stirling BK653 took off from Chedburgh at 21:50hrs. It's target was Mannheim. It was badly shot about by three Me 109s and abandoned, crashing at Bonneuil les Eaux, (Oise), 28km NNW of Beauvais, France. (Northern France). See "N for Nuts" in the "stories and tall tales from the mess" page for a detailed account of the day. The target was Dusseldorf. Take off was at 00:04hrs from Chedburgh. The aircraft was believed to have been shot down at 02:48hrs by a night-fighter operating over the North Sea, some 25 km north west of Den Helder, Holland. Only one body, that of Sgt Pooley was recovered from the water. The rest of the crew are remembered at the Runnymede Memorial. Their average age was 23. According to Chorley the aircraft took off at 19:35 hrs from their base at Chedburgh, Suffolk on a raid to Essen. They were shot down by flak and crashed into the sea west of Ijmuiden, Holland at 22:10 on 5 March 1943. All the crew were killed. Only the body of William Hedley Trotter was found. Chorley also notes that this aircraft was 214 Squadron's first Mark III Stirling loss. Previously they had been flying Stirling Mark I's. Delivered by Austin Motors Ltd between December 1942 and February 1943. Contract No.B982939/39. BK663 was initially issued to No.214 Squadron on 9 March 1943. Only the crews second Stirling trip gardening, dropping mines near Texel (an island off the Dutch coast). They had instructions to be sure to positively identify their target from nearby landmarks or bring the mines back apparently they had on board two mines of a very important new type which were not to be dumped anywhere other than on target. When they got near to the target all they could see was fog, so they bought their mines back. On return to base, and whilst in circuit at 2000 feet over Chedburgh, they collided in the dark with another Stirling losing their port tailplane and rear gun turret. The aeroplane went into a dive, Jack Dixon and Bob Jewsbury both had hold of their control columns with feet braced on the control panel trying to lever the columns back and pull the plane out of its dive! The base put up a red flare to say dont land but they didnt have much choice! They did succeed in regaining some control and crash landed on the grass alongside the runway. Apparently Jack Dixon sat at his controls for a moment after the landing thinking how lucky they were to survive. The peace was short lived however as, Paddy Mc Shane appeared with a blackened face shouting "For Gods sake get out, were on fire and there are still mines on board". Walter Rowley says that as soon as the plane stopped he scrambled out of the upper escape hatch standing on Jack Dixonwho was enjoying his moment of contemplation and still at his station under the hatch. The crew sprinted from the aircraft fearing an imminent explosion and indeed Bob Jewsbury said he remembered someone swearing he had overtaken a rabbit in the process! Ground staff standing some way from the wreckage then instructed the crew to return to the plane to evaluate damage which they did with some caution. The cause of the fire was a flare which had ignited within its chute. After this they were all rather shaken up and were sent on leave to recover, Jack getting a Green Endorsement in his log book for safely bringing the Stirling back to Terra Firma. The lost tail turret was discovered the following day just to the east of the airfield near to Rede Farm. Apparently a young farmers daughter found the sad wreckage with Sgt Burts body still in the smashed turret. The plane Stirling BK663 was repaired and flew again from Witchford with 196 squadron. She finally came to grief on 28th September 1943 whilst returning to base with problems, flying into the ground near Ely with bombs still on board. There was just one injury. A large scale model of the aeroplane is on show at the Witchford museum. The crew of the other Stirling involved, EF362N, managed to bail out and survived except for the pilot (Fg/Off W G Cooper from Solihull) who stayed with his plane and died in the subsequent crash. All of the crew were originally buried in Dusseldorf, Germany. Take off 23:51 hrs from Chedburgh. The operation that night was to Cologne. Shot down by a night-fighter (Uffe Frank, I./NJG3), crashing 01:06hrs at Zaamslag (Zeeland), 5km ESE of Terneuzen, Holland. Stirling Mk.III (BK717) of No.214 squadron - started at 23.51 from Chedburgh Suffolk - was shot at 00.46 by Oblt. Heinz-Martin Hadeball (2./NJG 1). The machine exploded at approximately 7000-8000 m altitude, after which the remains crashed about one kilometer northwest of the tiny village of Zaamslag (Oost-Zeeuws- Vlaanderen) on the land of farmer Mr. P.de Deurwaarder. There was only one survivor (who jumped before the crash). All those killed were buried on 7 July at the Noorder cemetery in Vlissingen. Kees Stoutjesdijk and Wim de Meester are publishing details of the airwar over Zeeland during WW2 (the southwestern part of The Netherlands) and they have already punlished two volumes about this. See www.ww2research.nl for further information. They would like to contact the families of the crew and possibly obtain photograohs of them. Please contact the website administrators if you can help. Take off was at 23:48hrs from Chedburgh. Shot down by a night fighter (Oblt Ludwig Meister I./NJG4) and crshed at at 01:45am on 26 June 1943 at Aalten (Gelderland), 46km ESE of Arnhem and a mere 4km N of Holland's border with Germany at the village of Hemden. Those who died rest in Aalten (Berkenhove) General Cemetery alongside 12 British soldiers, killed in the last days of March 1945. Took off from Stradishall but turned back before reaching the target with engine problems and crashed at 03:49 while approaching base, coming down at Bears Farm, Hundon, 5 miles NW of Haverhill, Suffolk. According to Chorley, 214 Sqn Stirling Mark 3 EE883 BU-T was lost on the night of 24-25 June 1943 on a raid by 630 Bomber Command aircraft on Wuppurtal in the Ruhr. The crew of 7 were all killed. Chorley notes that they took off from Chedburgh at 23:30 and were reported to have been shot down by a combination of flak and night fighters, crashing into the sea at 03:09 off the Dutch coastal town of Noordwijk aan Zee. 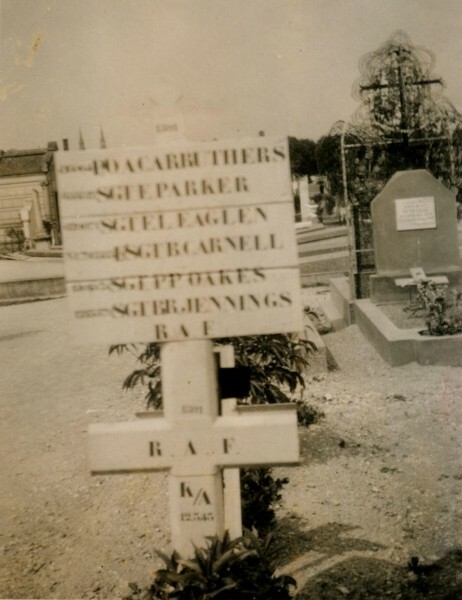 Five of the crew have no known graves but Sgt Jones rests in a cemetery in Noordwijk while Solomon Seward lies in Bergen. Take off from Chedburgh at 20:29hrs. The operation was to Berlin. The aircraft was intercepted by a night-fighter roughly five minutes after leaving the target area. A fierce fire developed in the centre part of the fuselage and the order to abandon was given. The pilot engaged the auto pilot and left the Stirling by the forward escape hatch. The mission was to Berlin. Take off was at 20:34hrs from Chedburgh. Whilst over Berlin, the aircraft was hit by flak, caught fire, and while going down in flames the pilot ordered the crew to bail out The aircraft crashed at Charlottenfelde, 5km north east of Neukloster. Frank Edge writes: "I have been researching Stirling bomber EE970 for the daughter and granddaughter of one of the crew - the radio operator Sargeant George Daulby who successfully bailed out along with the rest of the crew apart from the pilot - Pilot Officer KJ Simpson who stayed in the plane and died when the plane crashed. Sadly another crew member DC Houghton died as well when his parachute failed to open. A good account of what happened was published in Canadian papers The Sunday Star Metro and The Toronto Star on 7 11 1999. The pilot's body was never recovered and he has no known grave and the family of George Daulby say this fact haunted him for the rest of his life. There is a good chance his body was pulled from the wreckage of the plane and buried but the crash site was in the Soviet sector after the war and not accessible." Take off was at 18:19hrs from Chedburgh. The target was Hamburg. Hit by flak and crashed at 22:10hrs at Leeste, 9km South of Bremen. Took off from Chedburgh at 21:26 on an operation to Stuttgart. Shot down by a night-fighter and crashed at Sept-Saulx (Marne), 19km SE of Reims, France. All lie in Sept-Saulx Churchyard. Sgt Dent's parents lived in Guatemala City. Flight left at 21:25 hours for Osnabruck. At 23:50 hours, from 14,000 feet, incendary bombs were dropped and were seen to explode. Flight returned at 02:20 hours. EF362 Crew 30 March 1943. Please note that Robert Kearns is first on left. Can ayone place the other members of the crew. Possibly Bill Cooper in the centre? Delivered by Short Brothers Ltd between January 1943 and April 1943. Contract No.763825/38. Delivered to No.214 Squadron on 18 March 1943. The last flight of Bill Coopers Stirling bomber on 30 March 1943 had been beset with problems from the start. Ahead of the crew lay a dangerous mission known as a Big Run', so called because it involved wave after wave of allied bombers attacking the German capital at night. Shortly after take off, engineer Fred Smith advised Bill that the plane had engine trouble but the crew flew on to their rendezvous point with 50 other allied bombers over the English Channel. By this stage of the war, Stirling bombers were frequently used as path-finders before a bombing raid, which meant they would fly ahead and drop incendiary bombs on the target, to cause massive fires which would act as a beacon to the main wave of bombers flying ten minutes behind. Once the Stirlings completed their task they would re-group and then join the tail end of the main wave of bombers to drop further bombs on the target, in this case, Berlin. Having survived German anti-aircraft guns and night-time fighters, what was left of the bombing group returned home to England. 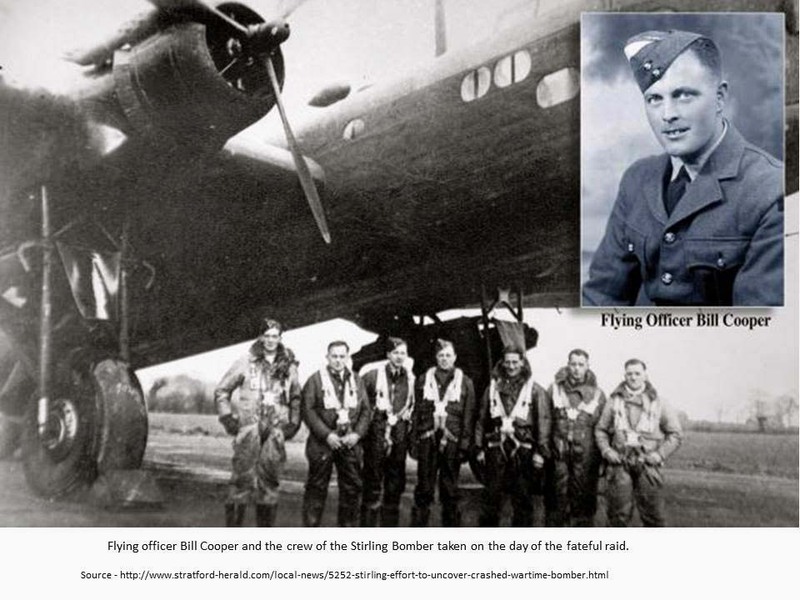 In addition, to flying with a faulty engine, Bill Coopers crew then suffered the cruellest twist of fate when a fellow Stirling bomber, BK663,also on its way back to base, collided with Bills plane in the dead of night. The impact stripped 6ft off the wing off BK663. 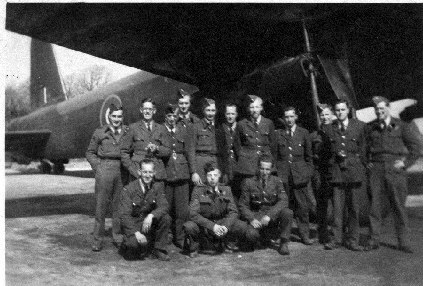 Of the seven-man crew who took off the night before only Bill remained in the cockpit having ordered his men to bail out and save their lives somewhere over the Suffolk countryside. He struggled valiantly to keep control of the mammoth aircraft but despite his desperate efforts to nurse the plane back to base, the 29-year-old knew he was too low and it was too late for him to bail out of the plane. He also knew there was a village beneath him so he flew away from the sleeping villagers in an effort to save lives. The time was 2am and it was a foggy and icy night. The plane, now in its final moments, was still 15 miles from its base at RAF Chedburgh in Suffolk where it took off five hours earlier. Vital seconds were left and RAF pilot Bill Cooper made one of the most important decisions of his life; he skilfully steered his crippled Second World War Stirling bomber away from the village of Semer, in Suffolk. Bill had no choice but to crash land in a farmers field near to the village and the explosion scattered wreckage across the field and nearby coppice. The last person to see Bill alive was the planes engineer Fred Smith, from Liverpool, who, before he bailed out, shouted to his fellow crewman and friend: "Are you coming, skipper? Bill replied: "Im right behind you." But he wasnt with Fred and he stayed with his plane to the very end. Fg/Off William George Cooper was the only fatality. Sgt A T Boosma and Sgt C R Logan were injured. "I remember my father telling me of this incident and how he was involved in a mid-air collision with another Stirling bomber whilst in in "the circuit" waiting to land, he told me that he was probably the last one to leave the virtually uncontrollable aircraft apart from the brave pilot Bill Cooper who told him in no uncertain terms to get out quickly whilst he struggled with to control the stricken aircraft. Unfortunately Bill Cooper himself did not manage get out in time and did not survive the subsequent crash. My father bailed out of the aircraft at an approximate height of 1,000 feet and praised his good fortune of having the chute open for him at such a low height - he earned his caterpillar pin for this lucky escape." Delivered to No.214 Sqdn 1 August 1943. Plane was airborne at 21:53 on 12/13 August 1943 from Chedburgh. The target was Torino in Italy. Stirling EF390 was damaged by flak and finally shot down by Capt. Hans Wolfgang Niebelschütz. The aircraft crashed at La Bussière-sur-Ouche, which is a village 26 kilometres south-west of Dijon in the Department of the Côte d'Or, and all the crew perished. The 7 members of the crew are all buried in the local cemetery. Every year there is a memorial ceremony to mark the occasion which is organised by a French Parachutist Association and the Royal Air Force Association. 19:10 hrs but failed to return. The story that has been relayed to John Fowler was that the bomber was critically hit and was going out of control. The pilot held the plane steady while the other members of the crew bailed out. Unfortunately the pilot could not bail out as he could not release the controls without the plane spinning. This was told by members of his crew who became POWs to the next of kin either through letters or after the war was over. Take off was at 20:34 hrs from Chedburgh. The mission was to Berlin. The aircraft was shot down by a night-fighter and crashed at Brandenburg. Four of the crew were killed and 3 were taken POW. I have also completed some research and am pretty (90%) sure that the Stirling was shot down S W of Berlin by a nightfighter flown by Ofw Richard Heemsoth (4./JG300) at 0120am on 1/9/43 at a height of 4200m. Ofw Heemsoth was himself killed in aerial combat on 11/9/44 flying an FW190. An account of of the aircraft EF401 being shot down by Sgt Jack Dales (rear gunner) as published in the book "Canadians in the Royal Air Force" by Les Allison. Click on this link to see the account. Take off was at 20:13hrs from Chedburgh. The aircraft was hit by flak and the autopilot was selected on before the crew left the plane in parachutes between Almelo in Holland and the German port of Emden. Left to it's own devices the Stirling flew on and eventually came down at Galtho, about 18km NE of Varde in Denmark, in a field belonging to farmer Jens Jensen. Eventually all of the crew were taken as Prisoners of War. Flying at 5000 feet. Compasses and all nav aids U/S except H2S downward radar. They were lost but found an enormous glow in the sky which they reckoned must be Paris. The crew headed north, found the coast and subsequently made it across the Channel making an emergency landing at Ford (again) whilst very low on fuel. The engines petered out at the end of the runway, even before they were able to get to their "pan" - now that really was low!! The operation was to Hamburg. The aircraft took off at 22.27hrs from Chedburgh. It is believed that it was shot down by a night-fighter, crashing into the North Sea. Only one body was recovered, the rest are remembered on the Runnymede Memorial. On 3 August 1943, Sgt McGarvey while piloting EF409 on an operation to Hamburg, ran into severe icing and electrical storms. Abandoning the aircraft off Wilhemshaven, five crew were lost. Sgt McGarvey, a Glaswegian Policeman, swam one and a half miles to shore towing Sgt A B Grainger to safety. Both survived as POW's And Sgt McGarvey won the George Medal for his incredible feat. Although the POW dates are the 2 August 1943, the plane is listed as being lost on 3 August 1943. In the book "Battle of Hamburg" by Martin Middlebrook, 1980, on pages 377/378 there is reference to a book or article called "Rescued from the sea" which describes the event above. 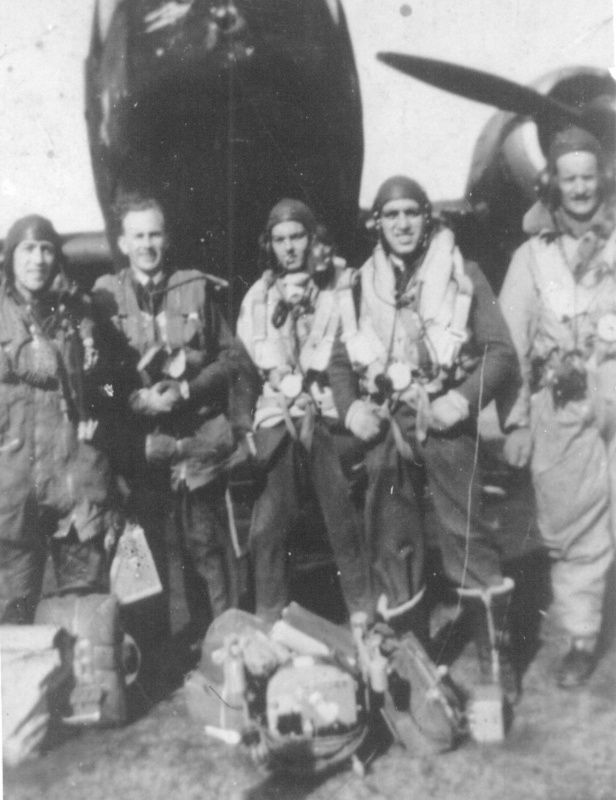 Crew from left to right, Sgt Wilf Sweeney (Rear Gunner), Flt. Sgt George Atkinson (Pilot), Sgt Jock Wilson (Wireless Op. ), Sgt Des Hughes (Engineer), Sgt Bruce Edwards (Navigator), Sgt Ronny Bousted (Bouttell? )(Mid-Upper Gunner) and Flt. Sgt Johnny Friend (Bombardier). Took off from Chedburgh. Operation was to Berlin. Hit by flak E of Hanover. Encountered severe icing and further damaged after engagement with a Fw 190. Short of fuel, the Stirling ditched 0034 in the North Sea. The two airman who died are commemmerated on the Runymede Memorial; the survivors were rescued and brought to safety. Note. This was the last Stirling Mark III to be written off by 214 Squadron while engaged on bombing duties. AIR CHIEF MARSHAL SIR A.T.HARRIS, O.B.E., A.F.C. 1485104 F/Sgt. G.A. Atkinson, Captain & Pilot. (missing). 1388280 Sgt. H.J. Friend, Bomb-Aimer. 1807915 Sgt. D.C. Hughes, Flight Engineer. 1513213 Sgt. W.B. Edwards, Navigator. 1892607 Sgt. R.L. Bouttell, Mid-Upper Gunner. 1368303 Sgt. J.C. Wilson, Wireless-Operator. R.79844 Sgt. W. Sweeney, Rear-Gunner. (wounded & missing). The above-named formed the crew of a Stirling aircraft (Stirling III, EF445, BU-J) detailed to bomb Berlin on the night of 22nd/23rd November 1943. Just before they reached the target area the oil pressure on the port outer engine began to drop and the captain noticed that the propeller was revolving at excessive speed. He decided to complete the bombing run and the Bomb-Aimer sighted and released the bombs correctly one minute after E.T.A. dangerously low and the propeller was feathered to prevent a seizure wit the result that the aircraft was losing height. At 9,000 ft. it was dropping into icing cloud and the pilot restarted the engine to gain more height for crossing a bad front. The engine started but had to be stopped almost immediately to prevent it catching fire and the propeller then failed to refeather but continued to "windmill". The aircraft lost height steadily until it was only 1500 ft. above ground at a position given by the Navigator as 20 miles east of Hanover. Near this place, the aircraft was engaged by "flak" which wounded the Rear-Gunner in the right leg but he refused to leave the turret. The Wireless-Operator sent out an S.O.S. at about 21.45 hours and repeated it until it was acknowledged. It was picked up at 22.30 as a very faint signal and he was given a fix. From then onwards, although reception was very bad, he maintained communication with the ground sending the height, speed, course and D.R. position, obtained from Navigator, at intervals. Near the Zuider Zee, the aircraft was picked up by the searchlights which were attacked by the gunners and, crossing the island at about 50 ft. the aircraft was again engaged by flak and searchlights; fifteen to twenty five of the latter were shot at by the gunners and doused. A F.W. 190 intercepted the Stirling but was shot down in flames by the Rear-Gunner. The aircraft bounced off a swell and then made a very heavy impact with the water which caused the nose to sink in and the fuselage to break in half. The pilot was trapped in the nose and went under as the aircraft broke in two. The Navigator jumped into the dinghy and dragged in the Mid-Upper Gunner from the water. They heard the Wireless Operator calling, paddled up to him and helped him on board. The Rear-Gunner, who had been observed to jump into the sea was also heard to call but they failed to find him and he was not picked up. After drifting for about an hour blowing their whistles, they heard an answering whistle, in the darkness, and eventually picked up the Flight Engineer from his "K" type dinghy. When the Stirling hit the sea, the Bomb-Aimer got out of the astro hatch but was swept into the sea by the waves. The Flight Engineer passed him a "K" dinghy which was swept away. The Bomb-Aimer re-entered the almost submerged fuselage, found another "K" dinghy, held his breath and swam out again as the aircraft sank, three minutes after ditching. He inflated the dinghy and climbed in, but although he heard other members of the crew shouting and answered, he was too weak to paddle towards the sound and lost touch with them. After sunrise, he hoisted a red sail and fired a star cartridge when an Air-Sea Rescue Hudson approached. The Hudson crew dropped smoke floats alongside and he was shortly after taken on board a high speed launch which continued the search and picked up the other four surviving members of the crew from the big dinghy about 40 minutes later. The Captain and Rear-Gunner could not be found. 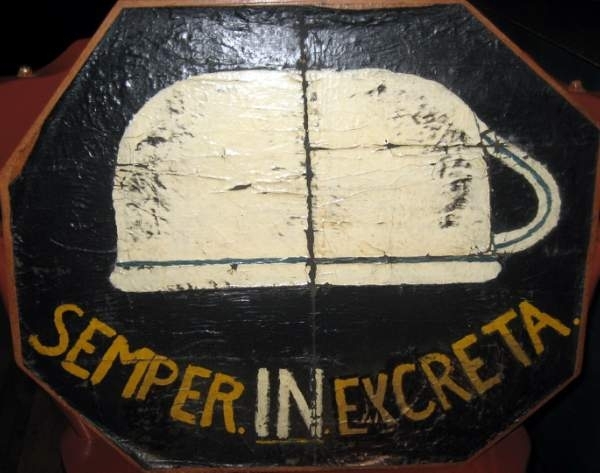 This crew excercised very strong determination to inflict as much damage on the enemy as possible in spite of their difficulties and they showed an excellent team spirit. It was this good team work and initiative that made possible the long and difficult flight to the point when the aircraft finally ditched and the successful rescue of five members of the crew after attacking their target successfully. Stirling (model unknown) EFG493 BU-? 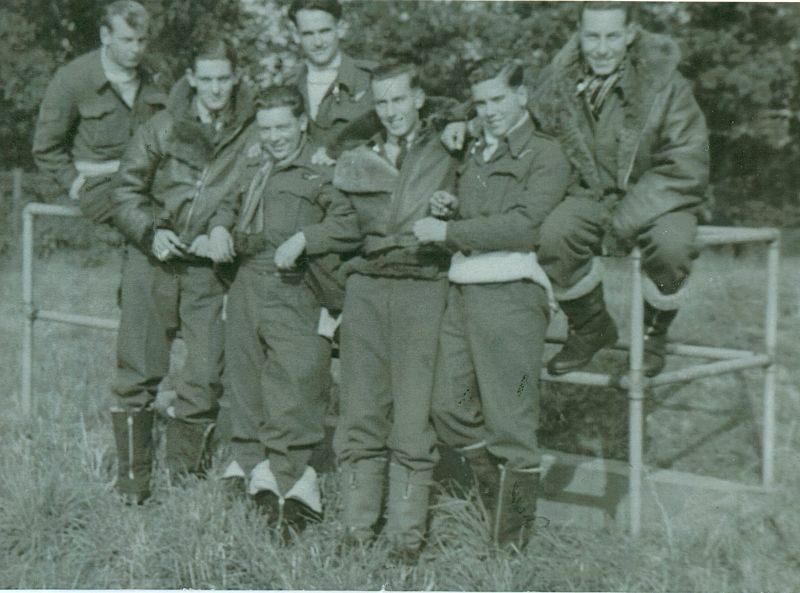 Left to Right: David Laming-Flight Engineer; Cam Wallace-Navigator (far right back row); Bud Dickinson-Rear Gunner; Geoff Shattock-Pilot (5th from left back row); A.R "Smitty" Smith-Wireless Operator; Frederick "Tommy" Trinder-Mid Upper Gunner (third from right back row); Howard Hunt- Bomb Aimer. Others unkown. 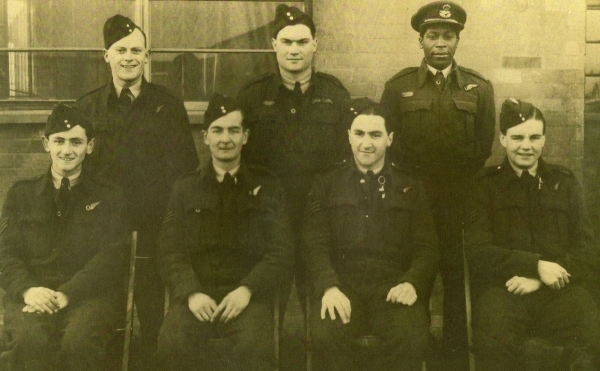 Wallace & Hunt were RCAF, Dickinson was an American in the RCAF who later transferred to the USAAF. The others were all RAF. They were posted to 214 Squadron from Feb 28th to July 29th 1943. Sarah Bond would like to make contact with any relatives of the above crew. Please contact her via the website administrators. The latin name vaguley translates as "always in the sh*t". Note the upside down potty!! The crew knicknamed the aircraft as the "Krappen Kracker". The operation as to Berlin. Take off from Chedburgh at 20:43hrs. Shot down by a night fighter. The rear gun turret was set on fire. After abbortive attempts to extinguish the fire it was noted that the wing was also on fire and the order to abondon the aircraft was given. Preparing to leave the aircraft they were shot at again and three were injured. Maurice Cooper risked his own life ensuring they bailed out carrying Ken and Bob. He was saved by his parachute. The aircraft crashed at 01:45hrs at Gross Belitz, 12 Km NNW of Butzow, Germany. All of the crew were taken as POW. F/S Chapman and Sgt Adamson were very badly injured and each had to have a leg amputated, which led to their eventual repatriation. "In 1945 Russian "Cossack Like" soldiers arrived on mules, all tooled up with swathes of ammunition and liberated the camp". Stirling (model unknown) EJI199 BU-? Stirling (model unknown) FEN959 BU-? Stirling (model unknown) FEN959 (22 November 1943) BU-? Mission to Berlin. 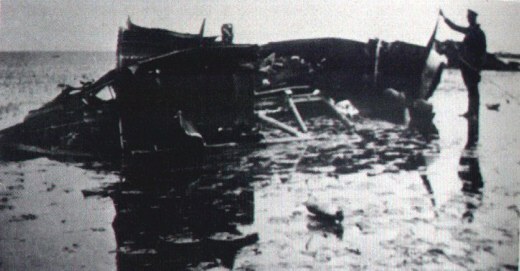 Hit by barrage and the aircraft was heavily damaged. The pilot's ear drums were damaged and he was removed from operational flying and the crew stood down waiting for a replacement pilot. Stirling (model unknown) FEN959 (4 November 1943) BU-? Delivered by Short & Harland in May 1943. Contract No.774677/38. On the 23 May 1943 at 23.15, Stirling MZ261 coded BU-T lifted off from Chedburgh, in Suffolk on the nights operations. The target for the night was a bombing raid on Dortmund . MZ261 was one of three Stirlings lost on this operation (also BF478 & BF528). It is unknown exactly what happened, possibly flak or a nightfighter, but Stirling MZ261 crashed at Unna about 15km ENE of Dortmund. Initially the crew were buried in the Haupftfriedhof (Am Gottesacker) but they were later re-interred in the Reichswald Forest War Cemetery. NOTE: It may be that this crew were quite new to the squadron at this time as it is reported that the crew does not appear in the 214 Squadron Operations Record Book for January 1943. Flight left at 01:07 hours for Dusseldorf. At 03:01 hours, from a height of 12,500 feet they could clearly see the Rhine, docks and the town so bombs were dropped, but they could not confirm action as many large fires were already reported, and could be seen from 100 miles away. On 6 June 1942, Flt/Lt Turtle and his crew were to fly a mission against the German city of Emden. Their plane was shot down by a Bf110 night-fighter flown by Oblt Prinz Egmont zur Lippe Weissenfeld of 11./NJG2 and crashed at 01.47 off Terschelling. Five are buried in various island cemeteries off the coast of Holland, while Flt/Lt Harrison, Plt/Off Holdsworth and Plt/Off Marks have no known graves. Most members of this crew had survived a serious crash three days prior to this event. Regarding this crash no information is known at this point but it was most likely a emergency landing after their mission to Bremen on 4 June 1942. Squadron Leader Peter Nixey and his crew took off in Stirling Mark I N3762 BU-C from Stradishall (Suffolk). What happened after is not known but BU-C was shot down by a night fighter over Holland. It crashed near De Driehoek, 5km NorthEeast of Ommen, Holland. Four crew members, Nixey, Melville, Pearson and Buckley died. The four other crew members were taken POW. The operation consisted of 185 aircraft of which 8 were lost. Only part of the bomber force identified the target. Emden reported about 100 houses damaged and 1 person injured. 131 crews claimed to have bombed Emden. Bombing photographs showed that part of the flare force started a raid on Osnabrück, 80 miles from Emden, in which 29 aircraft eventually joined. Emden recorded only 5 high-explosive bombs and 200-300 incendiaries with no damage or casualties. Planted 2 x assembly 14, 1 x assembly 67 and 2 x assembly 13. Setting 4 and 10 at 5420 N, 0744 E at 00:22 hours from a height of 2,500 feet. The area was found by navigational aid only. One parachute was seen to drop, the visibility being too poor for further observation. Flight returned at 03:50 hours. Attacked Bremen at 2:20 hours from 17,900 feet, dropping 1620 x 4lb incendaries. Bremen was identified by T.R . 1335 and buildings seen through gaps in the cloud. Bombs dropped on built up areas and were seen to light up. Flight left 23:50 hours. Target was Bremen. At 01:40 hours incendaries were dropped on target from a height of 18,000 feet. Flight returned at 04:40 hours. Stirling (model unknown) NEE876 BU-? Take off was from Chedburgh at 18:45hrs on an operation to Berlin. 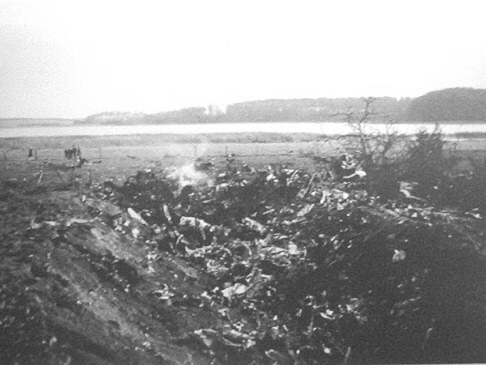 Hit by flak and abandoned at 21:44hrs, crashing near Konigreich on the south bank of the Elbe, 6km NNE of Buxtehude. Took off at 20:00 on a mission to Cologne. Shot down by a night fighter and crashed at 22:56 roughly 1 km South of the railway station of Oss (Noord Brabant), Netherlands. All are buried at Uden War Cemetery. An article was prepared by Mr Joop Thuring for the regional newspaper about 25 years ago to publish details for the locals / eye-witnesses in view of the circulating rumours. Occasionally Joop visits their graves at Uden. Flight left at 23:15 hours. The target was Mainz which was identified by islands and the River Rhine. Aircraft left at 01:06 hours and attacked Dusseldorf from a height of 15,000 feet, dropping incendaries. A glimpse of the river and the built up area was obtained. The flight returned at 04:36 hours. On 27 August 1942 three hundred and six aircraft were sent by Bomber Command to attack mainly the aircraft factories at the German city of Kassel situated some forty miles to the north east of the `Dams' which had been attacked in May 1942 by the `Dambusters'. The Command lost thirty-one aircraft, 10.1% of the force sent. One squadron, No 142, lost five of its fifteen Wellingtons taking part in the raid. It is believed that the German Night-Fighter Controllers were `spot on' in assessing just where the target was, hence the heavy casualties. There was very little cloud cover over Kassel and it was well illuminated by the Pathfinders. Widespread damage was caused, particularly in the south west of the city, with over seventy large fires being started and severe damage being done to all three of the Henschel aircraft factories. 214 Squadron sent twelve aircraft on this raid, including Stirling Mark 1 R9155 Q - BU which took off from Stradishall at 2029 hours. On this occasion Pilot Officer Dunckley took the place of the regular navigator Sergeant S.Newcombe. Whilst returning from minelaying, the crew abandoned their aircraft after crashing near Alton in Hampshire when very low on fuel and in poor weather. All survived except the pilot, who tragically was hit by a propeller, his body was found in woodland near Marks village in Hampshire. Operation to Bremen. Took off at 00.37 from Stradishall (Suffolk). Crashed at Barrien, 16km S of Bremen. Plt/Off Fussey was the only crew member to survive and was taken POW. FS Cartmell is buried in Sage War Cemetery, the others lie in Rheinberg War Cemetery. Sent out to search in 4 legs of Area 1. Flew out from Chedburgh at 14:50 hrs and returned at 17:05 hrs.They only managed to search the furthest leg. At 15:50 hrs they had to return back to Chedburgh as the port inner engine was blowing back and visibility was bad. On 28 November 1942 Bill flew as "second dickie" to the experienced Ted Youseman in Stirling R9191 on the long haul to attack the Fiat works in Turin, and witnessed visual identification, PFF flares, runs over the target, a successful attack and, after a six-hour flight, a safe return. This aircraft took off from Chedburgh, Suffolk at 18:33 on 28 November 1942 to bomb the Fiat factory at Torino, Italy. R9194 crashed between the towns of Chauny and Sinceny (Aisne department in Picardie) Northern France. Hervé Savary is a French Gendarmerie officer (Major) and organised crash remembrance ceremony for R9194 Short Stirling in Aisne department (North France) on 25 May 2013. Cyril Penna, the last English veteran (who escaped and returned to the UK) and Arthur Gatland, son of New Zealand pilot Frank Gatland (who was captured by Germans 10 days after the crash) attended. An emotional ceremony was held at Couvron et Aumencourt cemetery where three of the crew are buried. Then a memorial was unveiled near the crash area at Viry Noureuil. A lot of people, witnesses, resistance members and families attended. In the afternoon Hervé presented a history of R9194 in the Picardie Resistance and Deportation Museum at Fargnier, to an audience of 150. The next day Hervé drove Cyril Penna to several escape places near Chauny. He showed Cyril the field where the aircraft had landed and the two farms where he had been hidden. Then they travelled near Arras in Pas De Calais. In Warlus village, Cyril met his French friend Gilbert Biguet who took him in with his parents during the two weeks before Cyril was entrusted to the French resistance network. Source : Arthur Gatland (son of Frank Gatland) and Capitaine Herve Savary (French Gendarmerie Officer) and CWGC and Nightjar Newsletter and Flypast magazine. At 18:37hrs on the 3rd February 1943 R9197 took off from Chedburgh, Suffolk on operations to Hamburg. The aircraft was shot down by a night fighter and crashed at 20:04 hours at Leudsen (near Utrecht) in a wood between the Valleikanaal and the old railway track 4km SSE of Amersfoort-Kesteren, Holland. There were 16 bombers lost this night. On 3rd February 1943, after a spell of bad weather, HQ Bomber Command signaled a major raid on Hamburg, and No. 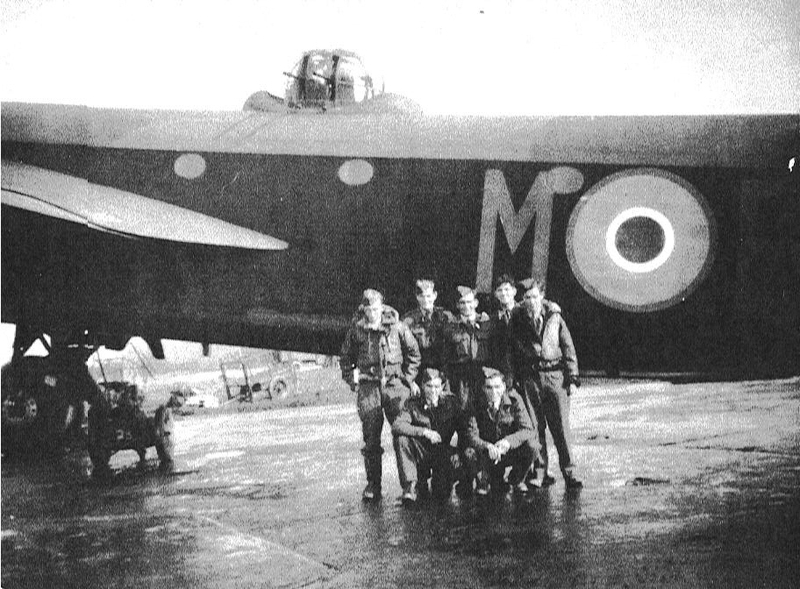 214 Squadron responded by detailing eleven crews. At around 18.00hrs, after all the usual hectic preparations, ten Stirlings (one withdraw!) prepared for take-off, each with its load of 1710x4lb and 90x4lb'X' incendiaries packed into the belly and wing bays. After two "early returns" due to technical problems, Chedburgh waited. Six Stirlings returned safely between five and six hours later, their captains reporting successful attacks all seemingly made within a short time of each other, but two dispersals remained empty, one of them being R9197, the other being R9282. Both these aircraft were finally listed as "missing". Of the 263 aircraft dispatched to Hamburg, sixteen bombers (6.1%) were lost including eight of the sixty-six Stirlings sent by No.3 Group. The attack on Hamburg ultimately proved to be of only limited success. Chedburgh eventually learned that its two Stirlings had been shot down over Holland, and that all of PO Smith's crew had been killed. But unless some information filtered back via survivors, little could ever be known of the actual circumstances concerning the loss of an aircraft. CiJay ter Kuile is researching the crash of 214 Sqdn Short Stirling Mk 1 R9197 (BU-V) on 3 February 1943 in the Netherlands. Purpose is to erect a memorial at the crash site. In order to get information about the crew members all of whom were killed in action, he would dearly like to get in contact with relatives of all the crew members. 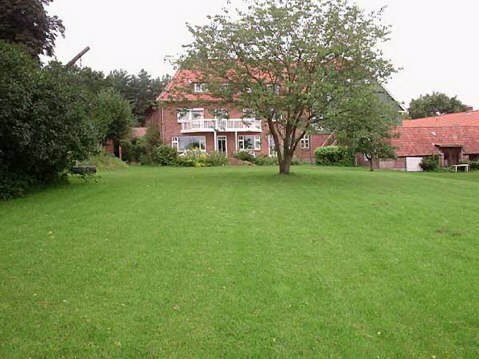 50, Arnhemseweg, NL-3832 GM Leusden. Albert Schthorst still remembers the night the airmen fell from the sky. Now he and his fellow Dutch historians are hoping that the airmen's families can help them honour eight men who died in this crash. "The goal is to erect a monument at the place of the crash and to honour the brave men who gave their lives for our freedom. I was sitting at the table with my mother in the kitchen of our farmhouse, sorting beans. I was 6 at the time. There was the tremendous noise and the suddenly quiet. Probably we were so afraid that we did not go out but stayed inside. My father was among those who saw the burning wreckage. Villagers tried to approach the plane but Nazi troops surrounded it. The next day I watched as troops salvaged the engines and other parts." The crash site is now a meadow near a trail that was once a railway near the border of Leusden and Woudenberg. "During the last years we were able to collect much information about the crash of the R 9197 of the squadron 214. Now we are able to send you an update of our results. One of the most interesting facts that we discovered is also very interesting for the RAF squadron 214. In short; We found and translated the book of the German officer Bundrock who was the navigator/shutter of the Messerschmit who has shot down the RAF Stirling R 9197 above Leusden at 3 February 1943. He described in detail the airfight and the crash of his own Messerschmit . May be there is somebody of the veterans of the squadron who is specially interested in this very special heroic fight? If so, I am prepared to correspond about this matter. I hope I have informed you more up to date of our findings and plans. At 3 February 2018 ,just 75 years after the crash,a delegation of the squadron is welcome at the ceremony." Click on the following link for more information and an invitation from Albert Schothorst. The take-off was at 00:01 hrs from Chedburgh. The mission was to bomb Bochum. The aircraft was shot down by a night-fighter (Lt Schön, I./NJG1) and crashed at 02:18hrs at Heerlen, the Netherlands. Of those who died, none could be identified in the post war years, so all are commemorated on the Runnymede Memorial. "In the early hours of 14 May 1943 a burning plane crashed into a house in my hometown of Heerlen, The Netherlands, setting the house on fire. At a few miles' distance a wounded airman was found and taken to hospital. He was reported to be severely wounded., he suffered from a fractured pelvis. A search was started by the local police to find the rest of the crew, but in vain. The Germans were more successful, probably because they tried harder! Three of the occupants of the burning house, the 56 year-old mother, an 18-year-old son and a 14-year-old daughter died of their wounds that same day. The hospitalized airman appeared to be Leslie Sutcliffe, born in Eccles on 27 July 1921. Address: 99 Grasmare Crescent. On the local cemetery I found the grave of "A Sergeant Royal Air Force 14th May 1943. Known unto God". He must be one of the crew members that didn't survive the crash.!" Take off was at 18:58 from Chedburgh. The mission was to Hannover. Crashed at Bemerode in the SE suburbs of Hanover, where all are buried in the city's War Cemetery. Delivered by Short Brothers Ltd (Rochester & Bedford). Contract No.763825/38. Delivered to No.214 Squadron on 2 January 1943. Bill was first away at 18:27hrs, with the last Stirling leaving just twenty-three minutes later. After two "early returns" due to technical problems, Chedburgh waited. Six Stirlings returned safely between five and six hours later, their captains reporting successful attacks all seemingly made within a short time of each other, but two dispersals remained empty, one of those being R9282, the other being R9197. Both these aircraft were finally listed as "missing". Of the 263 aircraft dispatched to Hamburg, sixteen bombers (6.1%) were lost including eight of the sixty-six Stirlings sent by No.3 Group. The attack on Hamburg ultimately proved to be of only limited success. Chedburgh eventually learned that its two Stirlings had been shot down over Holland, and that three of Sqn Ldr Clarke?s crew (including the captain) had been killed ,with four men being made prisoners of war. But unless some information filtered back via survivors, little could ever be known of the actual circumstances concerning the loss of an aircraft. Fortunately, a report made by WO T A Burke, Bill's Australian wireless operator (see WO Burke's personnel record) upon his release from captivity in 1945, describes exactly what befell Stirling R9282 on that night, and readers are left in no doubt, not only of the terrible moments for the crew following the attack but even more so, of the outstanding selfless courage of their pilot. Airborne 18:27hrs on 3 March 1943 from Chedburgh. Shot down by a night-fighter (Uffz Christian Koltringer, 3/NJG1) The aircraft came burning from the Vianen direction via Lopik, in a big curve towards Benschop, 14 km South West of Utrecht, crashing 300 metres behind the farm of the Oskam family at 23:30hrs. The sound of aero engines was nothing new to the Dutch people who also soon became able to recognise aircraft in trouble. At 23.30 hrs on 3 February 1943, members of the Oskam family, who farmed near Benschop, ran out of their house at the sound of engines only to see a large downward curving flame followed by the sound of an explosion and a large fire. On reaching the scene some minutes later they saw that the aircraft had impacted into marshy ground behind the farm. (A local police officer also reported hearing gunfire.) The devastation was enormous, with a large area littered with pieces of burning wreckage, incendiary bombs, and exploding ammunition and with barely identifiable remains of crew members lying adjacent to the main part of the aircraft most of which was embedded deep in the soil. After a number of curious onlookers had been moved away by the Burgomaster, German soldiers arrived, detailed to guard the wreckage. Next morning when the son of the family and a local police official went out to where most of the remains of the crew lay, they could clearly see Bill Clarke?s body still at the controls. German salvage attempts were delayed for several days due to bad weather but, after recovering a wing, probably one engine and most of the larger pieces of surface wreckage, they departed almost certainly leaving the remaining engines and other wreckage buried deep in the ground where they may still remain. Whilst the delay in removing the wreckage due to bad weather was understandable, the action taken by a German officer in charge, that of forbidding the removal of the crew remains for several days "This is your faith for helping the enemy" was looked upon with contempt by the Dutch, who thought it just a further attempt to humiliate the enemy. However, the sad remains of the three crew members were finally collected by local people and later buried by the Germans who treated them with "military honour", which was usually the case. Two days later the Oskam family were visited by some Germans, very likely the night-fighter crew who had shot the Stirling down. There were few real victors in those deadly night skies for this German officer met his death just two months later on 30 March 1943. The three comrades lie together in the General Cemetery at Benschop in Holland close to where they fell and although their headstones are in the familiar official style, the small carefully tended plot remains a permanent reminder for the local Dutch people of the terrible price paid for their liberation and freedom. The children always help, well understanding the significance of it all. We, the Historical Society of Leusden will investigate and describe this crash and erect a monument to honour the crew of the Stirling of the 214 squadron. We have therefore interviewed eye-witnesses of the crash, investigated diaries ,visited the graves as well as we collected information about the Squadron 214. However an important subject in our search is the information about the crew and their relatives. Untill now it we could find the relatives of only one airman of this Stirling. Therefore I write this letter to ask you if it is possible to co-operate with this search. We can provide more information about the crash of this Stirling and probably you can provide us more information about the crew? We, The Historical Society of Leusden are prepared to provide any further information, if needed. Delivered by Short Brothers (Rochester & Bedford) between October 1942 and January 1943. Contract No.763825/38. Delivered to No.19MU 21 January 1943, to 32MU 1 April 1943, to No.7 Sqdn 19 April 1943, to No.214 Sqdn 23 August 1943. This was the last Stirling 1 written off by 214 Sqdn and probably the last Mk.1 written off by a Bomber Command Squadron. Airborne 21:09hrs on 10 December 1943 from Tempsford and crashed almost immediately following a violent swing. No injuries. No other crew names appended. Take off 23.30hrs from Stradishall on an operation to Bremen but returned with technical problems. While trying to land, the port inner engine failed and the Stirling crash landed at 02.06hrs finishing up in the overshoot area. The Crew of R9319, coded BU-S.
On 20/21, June 1942 ( 20/06/1942 )BU-S. R9319 enroute the evenings operations was forced to turn back to Stradishall with engine failure and crashed into another Stirling. All members of the crew survived. Aircraft flew from Stradishall to Essen as part of the 2nd Thousand Bomber Night. 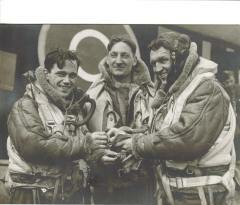 Wing Commander DMT MacDonald who was at Bomber Command HQ joined this flight as co-pilot. The flight took 3 hours and 55 minutes. Destroyed by fire at 18.45hrs while being prepared for bombing operations from Stradishall. On 11 June 1942 while on a minelaying op over the Friesian Islands, the aircraft, hit by flak from Borkum, disabling the rear turret, crashed on the beach of a small island called Memmert immediately to the north of Borkum Island. In 1942 the island was a bird sanctuary (still is apparently) with only a warden's hut. This was confirmed by Dr Theo Boiten, who was researching The RAF Anti Shipping Campaign in the Friesian Islands. He had been corresponding with Geoffrey Ransome, the Second Pilot around 1994. The front gunner who sustained a broken leg during the crash, was the only injury. They walked around the island which was quite small and discovered that there was only a small hut and no way off. When it became light they roused the old warden from his slumbers and after reassuring him he wasn't about to be harmed, got him to contact the mainland and advise of their presence. After a while a guard detail arrived and took them off the island and from there they went to the interrogation centre at Oberussel, ie Dulag Luft. Following their interrogation the crew spent almost the next 3 years at a variety of camps including Stalug Luft 3, Heydelkrug & Fallingbostel until liberated on the forced marches. Sgt Richardson and Sgt Hoskins are listed in the Nightjar Newsletter Summer/Autumn 2004 but are not listed in the book "Footprints on the sands of time" by Oliver Clutton-Brock. Sgt Ballentine and FS Beagles are listed in the book "Footprints on the sands of time" by Oliver Clutton-Brock and mentioned by Ian Tonkin but are not listed in the Nightjar Newsletter Summer/Autumn 2004. Have they somehow got muddled?? "On a May afternoon in 1942, our crew was briefed for that night to lay mines in the German shipping lanes that lay off the Dutch/German coast. We took off at night. We set course for the mine laying point, arriving by dead reckoning in total cloud. We flew a square pattern for some considerable time waiting for the cloud to break. Suddenly a flare path lit up and we recognised a German airfield on the island of Borkum and were thus able to pinpoint our position and head for the mine laying position. Having laid the mines, we decided to fly back to the airfield under their radar level and drop the four 250lb bombs. As we were running up to the island, the aircraft bottomed on the sandy beach and slid into the sea. The bombs were left lying on the beach. We hastily unfastened our harnesses and opened the top hatch and activated the dingy. Because of the rapidly changing tides in that area, we were by then on sand. We were unhurt apart from the front gunner who suffered a broken leg. We burnt all documentation and attempted, unsuccessfully, to set fire to the aircraft. There was a fishing boat moored in the channel but there was not sufficient depth to float it. We opened the rations in the dingy and drank a quantity of rum! After a while, we were approached by armed German soldiers who took us prisoners. We were taken to the only cottage on the island which was the home of a fisherman who gave us meal of black bread and gulls' eggs. Very unpalatable, but we were grateful. Later, we were collected by German escorts from the mainland and taken to a POW reception camp for debriefing and thence on to a POW camp, Stalag Luft III." "During the time in Germany, we were moved every few months to a different POW camp, usually in cattle trucks in difficult conditions. In early 1945, we were marched out of the camp, escorted by elderly German guards. On one of the marching days, our column of men was shot up by our own fighter planes. There were many casualties. Eventually, by standing and waving our airforce greatcoats, showing the white inner lining, to the attacking planes, they appeared to recognise the signal and flew off. The march continued and the routine was that we would be locked up in one of the very large two storey barns that appeared to be common in north Germany. Each morning, we were wakened by the German guards shouting "rous, rous!" and banging on the corrugated sides of the barn. One morning the guards did not make themselves known and eventually, after waiting some while, we managed to break out of the barn. Since there was not a German in sight, we set off to explore. We came to a German hospital with no sign of anybody about but parked outside was a military ambulance. On the fuel guage, it showed virtually no fuel. George, the flight engineer in my crew, was an experienced driver and we set off, driving towards what we hoped were the British lines. In fact, we met with an American advance jeep. They said they were unable to assist except to give us some white bread, which we found difficult to swallow after being used to German black bread, and that we should carry on towards our own advancing forces. It became obvious that there was some other fuel system as the ambulance kept running. Finally we arrived at a British base. We were told to lose ourselves in the outfield until it was possible to transport us back to England. VE Day passed without our knowledge and we were eventually flown home a few days later. " Lost during a raid on Essen. The aircraft took off at 20:58 hours from Sradishall. It was shot doen by nightfighter Hptm Walter Ehle, Stab.11./NJG1 and crashed at 00:08 hours at Bomal (Brabant), 26 kms SSE of Leuven Belgium. 2 July 1942 Operation to Bremen. Bomber Command sent three hundred and twenty-five aircraft to attack the city. Thirteen were lost. It is believed that the main attack fell outside the Southern Borders of the city but German reports state that more than a thousand houses and four industrial firms were damaged with three cranes and seven ships, in the port, being hit with one actually sinking. Only five people were killed and four injured in a population which had become very air-raid shelter conscious. At 2201 hours Short Stirling Mk I R9335 took off from Stradishall. They attacked at 0137 from 17,950ft dropping 1620 x 4-lb incendiaries and 8 x 40lb incendiaries. There was no cloud with a bright moon and good visibility. Bremen was identified by the river and docks being closely seen. The bombs seemed to burst to the South of the docks. Fires were visible 80 miles away and seemed to be well spread. One photograph was attempted without a flash bomb. Strangely, their landing time at Stradishall was not recorded. This was a "GARDENING" mission. One hundred and two aircraft were sent `Gardening', a term used for minelaying, without loss. The mines were, likewise, called `Vegetables' and the areas in which they were to be dropped were also code named following general horticultural association implied by gardening and vegetables. On this occasion 214 Squadron sent four aircraft without loss. R9355 was the Stirling which took off at 23:59 to the destination `Nectarine' (The Frisian Islands) with three `vegetables'. The `vegetables' were planted at 53.39N x 0541E at ten second intervals from 2,000ft at 01:29 hours. The results were not seen because it was pitch dark. They landed at 03:15. Attacked Wilmshaven at 1.50hrs from 16,000 ft, dropping 3 x 2000 and 3 x 500. Identification was made by the light of flares and navigational aid. Bombs fell a little short of aiming point on dock buildings but were not seen to burst. Scattered fires of medium size were observed in the docks and town. Attacked Duisburg at 01:45hrs from 16,500 feet dropping 4 x 2000 and 1 x 500 bombs. Identified Duisburg by means of flares, concentration of searchlights and built up area. Bombs fell in the centre of the city and one burst was seen. Numerous fires were seen on arrival and leaving. Operation to Munchen. Take off 20:20 from Stradishall. Crashed at Hader, Germany. Those who died are buried in Durnbach War Cemetery. 9th March 1943. FS Delbert (Dinty) Moore RCAF was detailed to take a spare crew (his own having been shot down whilst he was hospitalised) on a trip to Munich in Stirling R9358. After a couple of aircraft had left with no problems, a new pilot on a night navigation exercise swung on take off , collapsed the undercarriage of his Stirling and so blocked the main runway. (No clue as to why he was not held until the operational boys had all got away). It was decided to use one of the shorter runways (SSE/NNW) and Dinty duly prepared to leave whilst not very happy as they had experienced their own undercarriage problems whilst on air test. The laden Stirling lumbered into the air but, with the u/c only partially retracted, clipped some trees, took the roof off a newly built house and finally ploughed in near Chevington about a mile away. Miraculously the bomb load did not explode and the crew scrambled out of the burning aircraft. A head count revealed one missing, John Flack and, without hesitation, Dinty and Sgt Hamish Wilson, their New Zealand rear gunner, went back into the aircraft to find John trapped and upside down in his straps. They got him out suffering severe burns in the process later to be awarded the GM for their gallantry. At a 214 re-union do Dinty was re united with his WAAF nurse and ambulance driver. On the 30 May 1942 the crew of Stirling W7534 BU-E lifted off the runway at Stradishall heading toward Cologne Germany. After long planning and several delays, the excitement and tension of the crew would have been running high this day as they were about to make history. This was to be no ordinary raid! Operation Millenium, as it was called, was the largest bomber raid ever attempted with over 1000 aircraft taking part. Timing and precision flying were critical. Following a highly successfull raid, early in the morning of the 31st the last of the returning aircraft touched down at Stradishall. Sadly Sterling BU-E was not among them. It was later reported that the aircraft had crashed near Munchengladbach killing all 8 crew. They were reportedly buried at Gelsenkirchen Huellen but further reports suggest the aircraft may have crashed near Giesenkirchen, a few miles to the South of Munchengladbach. A report from Flt Lt Brian Frow flying a Hamden from 408 Squadron stated that shortly after passing Munchengladbach he had seen two aircraft collide. He stated that he had seen a Wellington climbing, possibly to avoid flak, and collide with a Stirling from below severing the Stirlings tail. 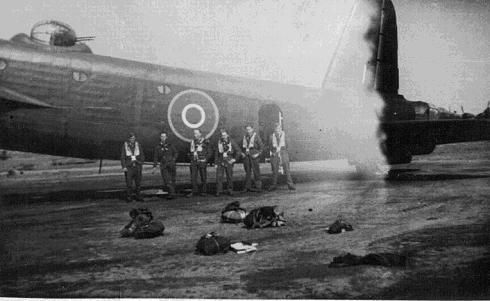 Both aircraft had plunged downwards, the Wellington exploding in mid-air whilst the Stirling exploded on impact with the ground. They are commemorated on the RAF Memorial at Runnymede. OPERATION MILLENIUM. On the 26th May with the full moon approaching, preparations for this historic raid were complete and the force stood ready waiting on favourable weather. 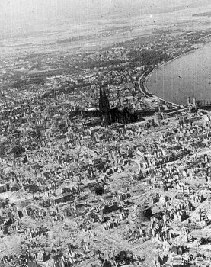 Harris had initally chosen Hamburg as his preferred target but the weather over Germany was unfavourable for three consecutive days so the target was changed to the third largest German city, Cologne. The RAF lost 41 aircraft, two of these being Stirlings of the 88 Stirlings supplied by 3 Group. The picture below depicts the devastation to Cologne following this raid. Take off was from Stradishall. Shot down by a night-fighter from 11./NJG2 and crashed at Sustedt, 25km SSE of Bremen. Badly shot about by night fighters, this Stirling crash landed at Coltishall and was written off. Two members of the crew (names unknown) were wounded during the fighter engagements. Flight took off at 23:33 Hours. The mission was to attack Vegesack. At 02:02 hours, from 18,000 feet, incendaries were dropped on T.R. and no results were observed. Flight left at 22:45 hours. Visibility was poor but when there was a break in the clouds Mainz was bombed at 01:21 hours, from 11,000 feet. One photo was attempted. Flight returned at 05:10 hours. The op was to Torino. Take off was 18:44hrs frrom Chedburgh. Throughout the flight the crew had experienced severe engine difficulties and on return there was poor visibility. With fuel low the pilot ordered his crew to bale out, after which the aircraft crashed at 03:42 hrs just two miles west of Stradishall, Suffolk. All of the crew, except for the pilot, survived. Flight took off at 00:35 hours. The target was Duisburg. At 02:06 hours from, 17,000 feet, bombs were released into the centre of a fire whose glow could be seen below the clouds. Heavy smoke could be seen afterwards. Flight returned at 04:35 hours. Flight left at 23:30 hours. The target was Hamburg. They were unable to identify Hamburg as the T.R. was u/s after 7 degrees E so the furthest point they reached was 25 miles NW of Hamburg. Other aircraft reported icing conditions and poor visibility so they returned back to base with the bombs at 05:45 hours . Flight left at 01:05 hours for Dusseldorf. At 02:40 hours bombs were dropped from 16,800 feet. Identification was made by Navigational Aid and identification of docks on the East bend of the river. Cofirmation of the action could not be confirmed as the town was thick with fires. Flight returned at 05:11 hours. Flight left at 22.55 hours for Mainz. The target was identified visually. PetersAuc Island and town were clearly seen. Bombs were dropped at 01:08 hours from a height of 12,500 feet, magnetic bearing 130 degrees. They were seen to explode. One flare was dropped. The aircraft was damaged by flak. Weather was dark with wispy cloud and fair visibility. One photograph was attemted. The flight returned at 03:55 hours. On the night of 4th April 1943 about 8:21pm during a raid to Kiel Germany, Stirling W7621, coded BU-G was shot down by a fighter plane at Schlesen, 20 km east of Kiel. 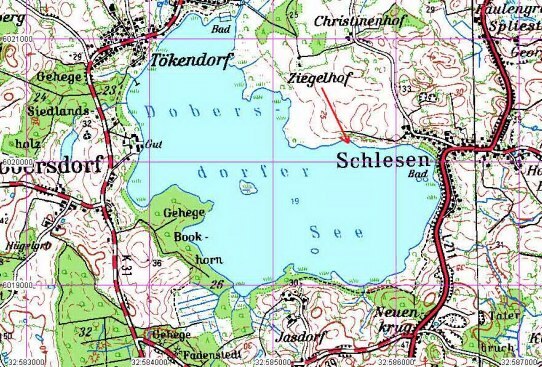 The pilot of the aircraft attempted a landing on a field near the lake Dobersdorfer See. The aircraft slid approx 300 metres over the field, then flipped over and continued on into the lake where it stopped about 100 metres from the shore. The crew were aparently all killed but not all as a result of the crash. THE MYSTERY: One of the crew (Sgt. Broderick) was found on the little island Amrum in the North Sea, all other crew members are missing. The Dobersdorfer See is an inland lake not connected to the North Sea so it is a mystery how his body came to be found on Amrum. If you study the maps, the only possible explanation is that he baled out of the aircraft and made his way overland to the North Sea. This theory does not explain how he came to be drowned in the sea. After the war, the people of the little village Schlesen began to recover some parts of the aircraft. The first attempt, to take the parts out of the lake with a rope of steel and a tractor, failed. The cause was a steep edge in the 5 metre deep area in the lake. After clearing away the edge, some parts were recovered. The cover reads "REMOVE WHEN LOADING BOMBS"
The red arrow on the map indicates the direction the Sturling crashed. Later, together with some friendly divers, I searched the area into the lake. We then found a lot of bigger parts of the aircraft (See pictures). A second search into the lake, with a lot of detectors, failed. The mud in the lake very deep. (2-3 metres). For a long time I didn't know if I had found the right aircraft, I was unsure. But one of the parts from the lake ( the fuel gauges ) showed, I am on the right track. On the same date of this crash, there was another Stirling which crashed too, but this place is in Danmark. The gauges are now in the property of the lake owner for permiting my search of his ground. 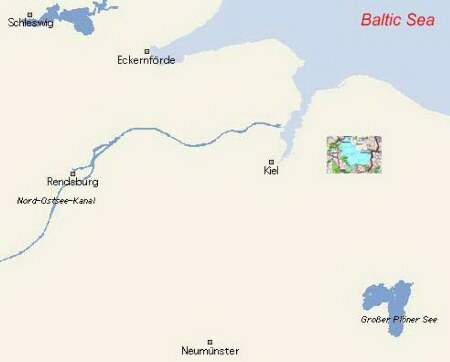 The small inset map shows the relation of the crash site to Kiel. All of the above photos and information is a result of the amazing and difficult research of Nils Hempel. Nils searches out the actual crash sites and using various technology from scuba divers, metal detectors to Satelite tracking, he carefully reconstructs the final moments of the aircraft. All pictures and research Copyright Nils Hempel of Kiel Germany. Took off from Chedburgh at 18:26hrs on a mission to Lorient. Lost without trace. All are commemorated on the Runnymede Memorial. Sqn/Ldr Carlyon was a Canadian serving in the Royal Air Force. This crew flew over thirty times together according to Jason Carr. 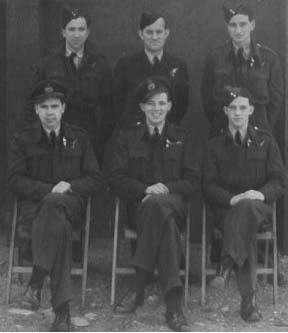 Crew formed at RAF 26 OTU Wing Beds in April 1943 and stayed together for quite a while. Douglas Houghton flew with Robert Mackett's crew until, on 1 September 1943, he volunteered to fill the place of a sick airman with Stirling EE970 BU-B and lost his life in a flying battle over North West Europe. Bert Waugh joined the crew after the death of Douglas Houghton. By the Autumn of 1943,Mackett and his crew had completed six operations when the Stirling bomber aircraft were withdrawn from front line service; the loss rate of these aircraft on the main bombing raids had become unsustainable. 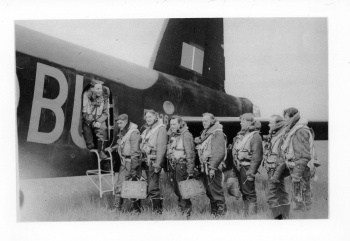 They were then one of six crews detached to augment No 161 Squadron at RAF Tempsford dropping supplies to resistance groups and underground agents in occupied Europe. A major advantage of the Stirling was that it was able to carry 24 containers, a greater number then those carried by other aircraft employed on this task. These night moon light operations were conducted at times depending on the phases of the moon to dimly lit dropping areas, usually only illuminated by torchlight. The aircraft would be flown low over the Channel, to keep below the German radar screen, climbing up to 6000ft to be above the light coastal flak then, when safely clear, dropping back down to a transit height of around 400ft. When out of range of the Gee navigational system, Bill Wilkinson took over the navigation by map reading from the front turret until the dropping zone was sighted. On some operations, drops would be made at two or even three dropping zones, always dropping into wind and at precisely 400ft to avoid scatter of the stores. By March 1944, Bob Mackett and his crew had completed their required tour of 30 operations. Most of these had been supply dropping ops from Tempsford, but a number had also been on bombing/mining operations. Over this period, as the Stirling was progressively withdrawn from service and replaced, usually, with the B17 Flying Fortress, so the crew were variously parented with the remaining Stirling equipped squadrons - 218 at RAF Downham Market; then, in January 1944, 149 at RAF Lakenheath. One of only two crews to complete a tour of ops from 214 at Chedburgh, the other being the crew of ? ?Dixon.